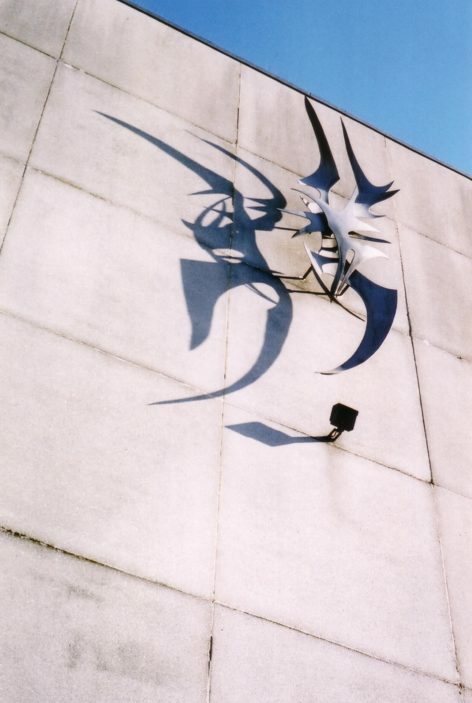 Peter Lyon’s unnamed wall sculpture, in welded aluminium plate, was mounted above McDonald’s restaurant, facing the bus station, in 1964. It is particularly interesting for the shadows it casts at different times of the day. An original model of the sculpture is in Stevenage Museum. This page was added on 05/01/2011. I don’t think Mc D’s was there in 1964, cant remember what was but I do remember the excitement of getting a ‘Mc Donalds’ in stevenage. I was always told this one was named ‘Jack Frost’ an abstract of the icy bringer of winter!